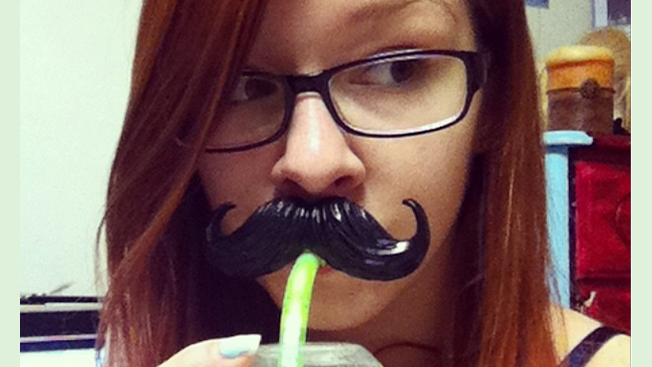 7-Eleven is now offering its Slurpees with hipsterlicious mustache straws and cups shaped like Mason jars. Be warned: they ain't free. It's a cool 99 cents for the stache straw, and a full $2.99 for the Mason jar (though you get your first Slurpee free). The four stache styles include a British upper-lip, a hirsute handlebar, a Ron Swanson special, and the Hulk Hogan. The entire promotion seems perfectly geared for social sharing with Instagram and Facebook. You should expect to see more of these sort of photo-friendly promotions tailor-made for the selfie crowd. According to ABC news, the straw sales have already surpassed expectations, and it's only the start of Slurpee season. Get your summer sippin' on before they're all gone.